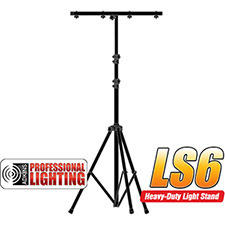 This low cost, Black tripod stand is ideal for hanging several types of par cans or pin spots. 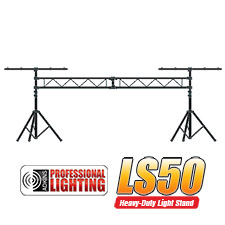 It extends up to 9ft and collapses easily for transport this makes it ideal for mobile DJs or small stage productions. 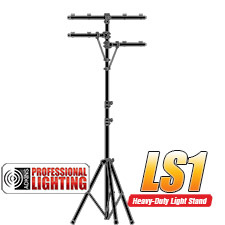 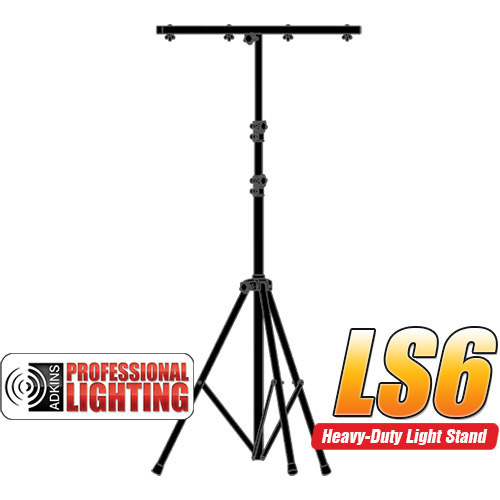 This light stand comes with a T-bar with 8 hanging point bolts and Weighs only 12 lbs.